Charlotte House Care Home offers older people and those living with neurological disorders and physical impairments residential, nursing, respite, and palliative care. Residents enjoy a comfortable facility with a bar and cafe on-site, a kitchenette and good wheelchair access, as well as the use of its own minibus offering trips into the local community. Team members have proven their nursing skills to be effective in helping people with cancer and stroke care needs, Parkinson's, HIV and multiple sclerosis, amongst many more. Upon arrival, residents are supported by the staff to develop a personalised care plan that includes individual interests, hobbies, dietary preferences as well as any health issues. The plan will determine the level and type of care each resident receives which can vary from minimal residential care to full support. Activities are planned a month in advance by the recreation and activities coordinator and are chosen based on discussions with residents and their relatives. A daily menu is prepared by the on-site chef who creates restaurant-style meals from locally sourced ingredients. Residents have the option to eat in their own rooms or in the dining room - which is a hub of conversation and laughter. 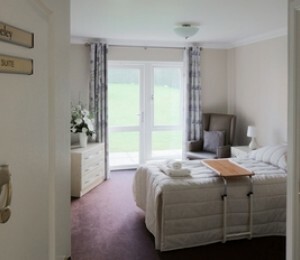 With 71 bedrooms offering residential and nursing care, we think carefully about the type of room each resident needs. All the rooms are en-suite, and there are bath and shower rooms on each floor for residents to use with or without assistance. We understand that moving into Charlotte House will be a considerable transition, but one we try to make feel as easy as possible. Your room is your own personal space, which is why we encourage you to personalise it if you like, by hanging your favourite pictures or bringing small pieces of furniture.